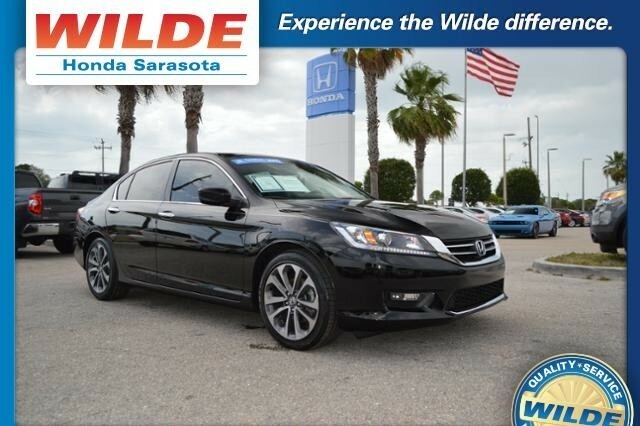 This Certified Pre-Owned 2015 Honda Accord CVT Sport is Honda Certified, Excellent Condition, CARFAX 1-Owner. JUST REPRICED FROM $18,977, PRICED TO MOVE $2,200 below Kelley Blue Book! Sport trim. Bluetooth, CD Player, iPod/MP3 Input, Aluminum Wheels, Back-Up Camera. AND MORE! Was $18,977. 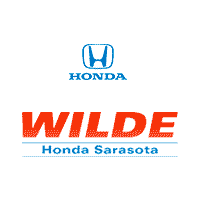 This Accord is priced $2,200 below Kelley Blue Book. Back-Up Camera, iPod/MP3 Input, Bluetooth, CD Player, Aluminum Wheels. Rear Spoiler, MP3 Player, Keyless Entry, Remote Trunk Release Honda Sport with Crystal Black Pearl exterior and Black interior features a 4 Cylinder Engine with 189 HP at 6400 RPM*. Both front and rear occupants will find plenty of legroom and shoulder room. The sedan’s backseat is one of the best in this class, thanks to its combination of space and comfort. -Edmunds.com. Pricing analysis performed on 6/29/2017 for this Certified Pre-Owned 2015 Honda Accord CVT Sport. Horsepower calculations based on trim engine configuration. Please confirm the accuracy of the included equipment by calling us prior to purchase.